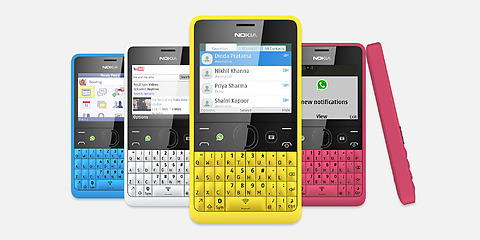 NOKIA ANNOUNCES THE ASHA 210, THE WHATSAPP PHONE. Nokia has just unveiled another member of their Asha portfolio, the Asha 210 QWERTY phone. The Asha 210 comes with a hardware button which allows quick access to Whatsapp. The Asha 210 is expected to come in two variants a single SIM and a dual-SIM version. The Asha 210 comes with free Whatsapp subscription for the lifetime of the device. The Asha 210 comes with built-in WiFi. The Asha 210 is expected to cost $72 (about N12,000).